Once upon a time in the Ice Age, when the hill at Ft. Reno was a snow-covered mountain, a whole community of yetis lived in Tenleytown. But the climate changed, glaciers retreated, and so did the yetis. Some went north and west to what is now the Canadian Rockies. Some went to the Himalayas, where even today you’ll find a large population of yetis. However, one little yeti got left behind (or perhaps chose to stay back?). It lives underground beneath the highest point in what is now the District of Columbia, in Tenleytown. During hot summer months, the Tenley Yeti stays cool in the caverns deep beneath the surface, enjoying the breeze from passing Metro trains and listening to punk music from Fort Reno concerts above. Each December, the Tenley Yeti emerges for chill Tenley winter fun: sledding at Fort Reno, dining at one of Tenleytown’s many restaurants, toy shopping at Sullivan’s, borrowing library books, fat-tire snow biking, craft shopping at the Janney Winter Market, sipping hot cocoa at Coffee Nature, buying holiday lights at Ace Hardware, and strumming a ukulele at Middle C Music. 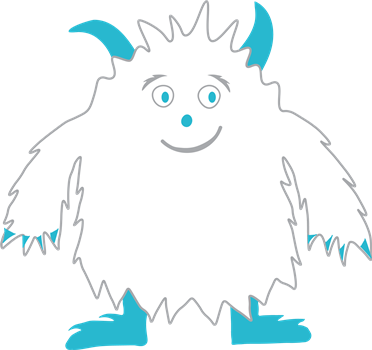 During Tenley WinterFest, sharp-eyed Tenleytowners may also spot the Tenley Yeti playing hike-and-seek at local shops or holiday shopping at the Winter Market. If you do, don’t be afraid. Welcome them on their annual sojourn. This yeti is a fluffy, friendly, fan of our charming neighborhood. © 2019 Tenley WinterFest. All rights reserved.